Gamers across Japan, Europe, Australia and now the US have all begun to tuck into their copies of Kingdom Hearts: Dream Drop Distance on their Nintendo 3DSs. A stir was created almost a year ago now when it was announced that Neku Sakuraba, the main character from The World Ends with You, was to be accompanying Sora on his latest adventure. 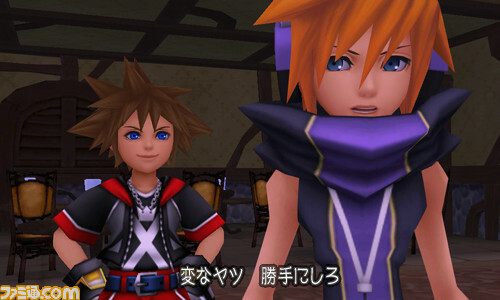 Am I the only one who thinks Neku looks weird? But this announcement got me thinking. Could this signal that Square Enix are considering, or even have already started making, a sequel to this cult classic? Looking at Kid Icarus: Uprising, I’d have to say yes. Kid Icarus and Kid Icarus: Of Myths and Monsters were both well-known games in their time 20 years ago. Several console generations passed and the series was largely forgotten, save for those who had originally played them and some hard-core enthusiasts. So naturally these fans were surprised and delighted when Pit was announced as a playable character in Super Smash Brothers Brawl. But still, it must be asked: Why would Nintendo want such a little-known, neglected character brought back into the limelight? When Kid Icarus: Uprising was announced, I realised the answer to this question. If anyone wanted to make a new Kid Icarus game, there would be no better form of advertising than to place the main character in a much more well-known series: Smash Brothers. So when Pit first appeared at E3 2010, it meant that gamers who had never played or maybe even never heard of the original games got excited for Uprising, because of his cameo in Smash Brothers. The same thing had happened for Golden Sun. Golden Sun may not have been nearly as old as Kid Icarus, but it was still a series relatively unknown to the masses. While Isaac was not a playable character, his ability to so easily push your opponents far off the stage or even kill them made him one of the more memorable assist trophies. And what happened at E3 2009, the year after Smash Brothers was released? Golden Sun: Dark Dawn was announced. I love this assist trophy. 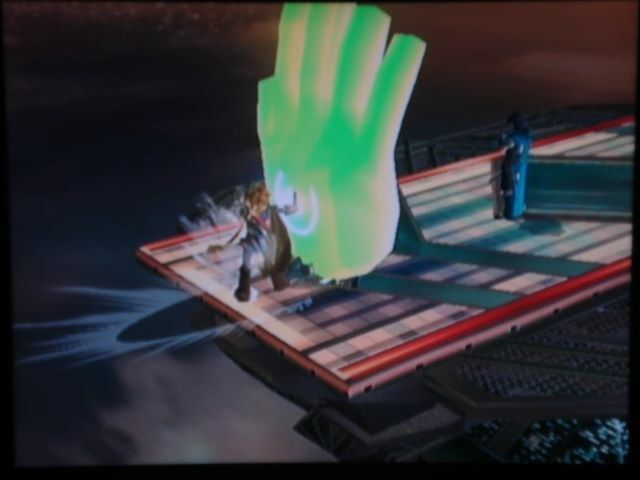 Playing Smash with my friends when suddenly BAM, a giant hand sweeps across the screen! Almost as invasive and the Nintendog. Almost. 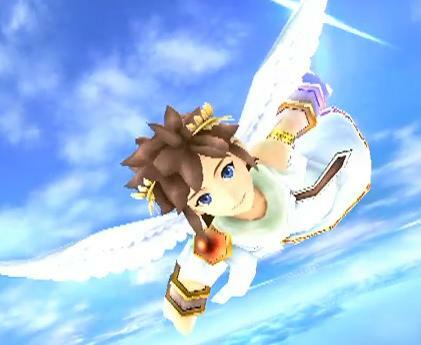 Personally, I had never heard of Kid Icarus until I did some research into Pit, which I did after playing as him in Smash Brothers. And it was a combination of Isaac’s awesome assist trophy and the recommendation of a good friend that made me seek out a copy of Golden Sun. So for me at least, this worked. And I don’t think I would be the only one. I’m sure by now you can see where this is going. Now that Neku has made his way into the high-profile series of Kingdom Hearts, I think there may be another The World Ends with You game either currently in the works, or that there soon will be; Square Enix may be waiting to gauge the public’s general reaction to Neku first. Either way, I feel confident that we will be hearing something about a sequel fairly soon, maybe even at next year’s E3. The stunt Square Enix pulled a few days ago has, in my mind, further solidified my point. Why else would Square Enix announce a port for a game which is little known outside of a small group of people, for a system which is highly accessible? Could have done without all the extra hype, guys. Talking to some gamers I’ve met this year at university, a few have told me they want to purchase a copy of The World Ends with You purely because of Neku’s cameo in Dream Drop Distance, and that before now they hadn’t even heard of Neku’s incredible game. Head over to page two to hear about why I think a sequel to The World Ends with You would be a good idea, and what I want to see come from it. Previous Post:Ni no Kuni LE Extended, New Items Announced!